The letters call on judge Loretta Preska of the US district court for the southern district of New York to show leniency towards Hammond, a former member of the hacking network Anonymous who has become a cause célèbre for hacktivists, civil libertarians and those concerned about the rights of whistleblowers. They include 36 submissions from leading data experts and freedom of information campaigners. Among the correspondents are Daniel Ellsberg, source of the 1970s Pentagon Papers leak on the Vietnam war, and Jesselyn Radack, a former Justice Department whistleblower who now works at the Government Accountability Project. Other letters come from Hammond’s family and friends from the Chicago area who testify to his community work. One correspondent recounts how he was offered shelter by Hammond when he was homeless on the streets of Chicago. Hammond, 28, has pleaded guilty to one count under the Computer Fraud and Abuse Act (CFAA) relating to a 2011 cyber attack on Strategic Forecasting, Inc, known as Stratfor – an information analysis company based in Austin, Texas. Working alongside a fellow hacker operating under the internet handle Sabu – who was later revealed to be an FBI informant – Hammond downloaded an email spool from Stratfor containing millions of files and sent the data to the anti-secrecy website WikiLeaks which released them as the “Global Intelligence Files”. In a memorandum to the court, Hammond’s lawyers describe the hack as an “act of civil disobedience” emanating from his concern about the mushrooming of the private security industry that now accounts for 70% of all government spending on intelligence. The memo points out that he did not benefit personally from the action and that the government has confirmed there is no evidence of any financial motivation. Innovation happens when people are experimenting at the edges of their social, intellectual and technological abilities. When you charge Aaron Swartz or Jeremy Hammond with computer crimes you are scaring away some of the smartest young people from thinking about issues that actually matter, and that has a massive chilling effect. I’m disappointed about the silence of the tech industry over this case. You don’t hear the tech giants coming out and condemning what happened to Aaron or what is now happening to Jeremy, which I consider an abuse of state power. My brother didn’t do computer hacking for its own sake, or for personal gain – he did it because of his entire world view. He is an anarchist, an anti-war activist, an egalitarian. He wants to see the world free of over-reaching powers of government and corporations. If there were not people like Jeremy, Edward Snowden, Chelsea Manning exposing betrayals of people’s trust, then we would not know today the extent to which private individuals’ information is gathered, analyzed, and sold to private corporations and governments. We would not now be having the debate across the country about whether the NSA and private intelligence companies are going too far. That’s the discussion that Jeremy wanted to encourage. The information that has been posted on WikiLeaks has been an eye opener for many, who are realizing they cannot trust the government to protect their privacy. Jeremy Hammond represents something new: he was a political activist first – an old-school Chicago boots on the ground activist who happened to be a gifted computer programmer. He has introduced a lot of hackers to a level of political maturity that they didn’t previously have. He was not interested in personal gain, and the Stratfor site had already been hacked before he entered it. His goal was to expose the scope and nature of the private intelligence industry – and along the way he exposed an organized and well-funded system of deception targetting American citizens and others worldwide. 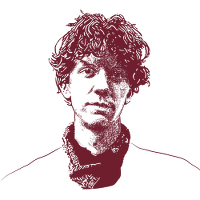 Jeremy Hammond doesn’t deserve 10 years in prison. In my eyes, Jeremy doesn’t deserve to be in prison right now. Corporations spying on people warrant the same outrage as when governments spy on people. The activists of the Bhopal disaster had every right to know that Dow Chemical was spying on them and their efforts. The survivors of the Bhopal disaster are faced with serious health problems and their children and grandchildren have health issues and birth defects. These activists – who are asking for compensation for healthcare/research and for Dow Chemical to stop using dangerous, lethal chemicals in their city – are literally fighting for their lives. They deserve to know the truth. Jeremy may have broken the law, but companies like Dow that are employing third parties to follow the activities of victims’ groups are breaking every code of human decency. Jeremy performed an ethical service – he revealed a network of lies and secrecy that we think the public should know about. It’s a pretty deplorable state of affairs when they put people like him in jail – it would be obscene to sentence him to 10 years. His actions didn’t hurt anybody, and we learnt an important truth about who was spying on whom. That seems to us to have been a net gain. Jeremy and I were neighbors in the Pilsen area of Chicago. As we grew closer, I worked alongside him organizing a number of activist community projects that brought food, books, and other critical resources to people in need. We first worked together as volunteers to cook food for the homeless. Later we collaborated for several years on a project to send free books to prison inmates. He attended this service group consistently, week after week – he was the one person I knew I could always depend on. I believe that Jeremy deserves compassion because I have never seen him act out of any motivation besides the kindness of his heart. He is not a person with an ego, or something to prove. I know without a doubt that he acted out of a sense of justice. Jeremy gained absolutely nothing from what he has done, though he took a great risk to get there. He is a person who cares for the world with a great compassion and I truly believe that he will recognize the wrong that he has done, and move on to live up to his potential. I teamed up with news outlets around the world to reasearch and publish stories based on the Stratfor files database, and wrote several articles on the back of it including how Stratfor analysts view Italian politicians like the former PM Mario Monti or controversial leader Silvio Berlusconi. The material was in the public interest, throwing up newsworthy stories such as an alleged indictment against WikiLeaks founder Julian Assange. It is also important because it provides a unique insight into the methods, sources and values of a private intelligence company and its close links to government agencies. As a journalist who worked on Stratfor files, I feel I have duty of care to Jeremy Hammond. He released information in the public interest, he did not sell it. For him to face 10 years in jail, while CIA agents involved in rendition and torture, are free as the air – I do not call this justice.